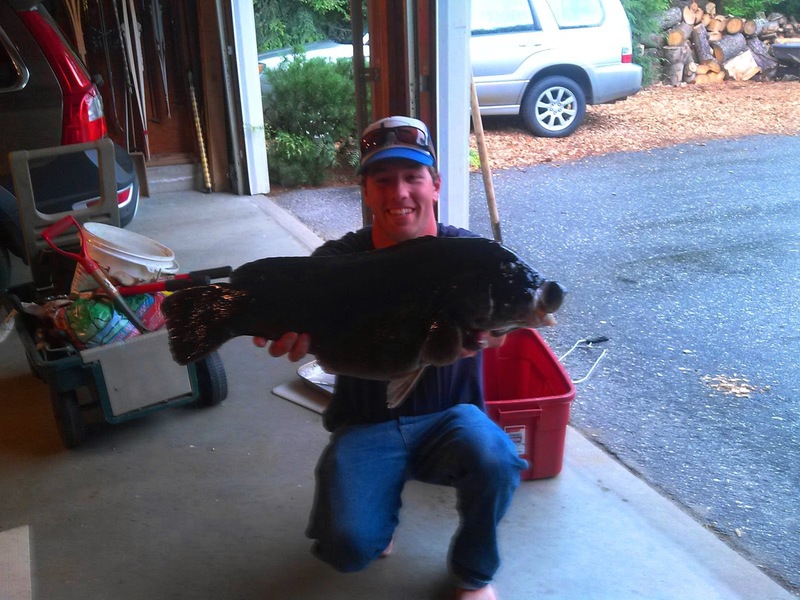 There is no saltwater record in the State of Maine for Tautog. They are so uncommon North of Massachusetts that there just isn't a category for them. So on Sunday, when I saw this filthy critter staring up at me from its boulder cave near Harpswell, I was pretty shocked. I was shocked because this fish was at least 70 miles further North than any Tog I'd seen while spearfishing, it was by far the biggest I have tangled with anywhere at 25.75 inches, and it bore a closer resemblance to Slimer from Ghostbusters than anything you'd expect to see swimming around here. well i'll be! well done sir!